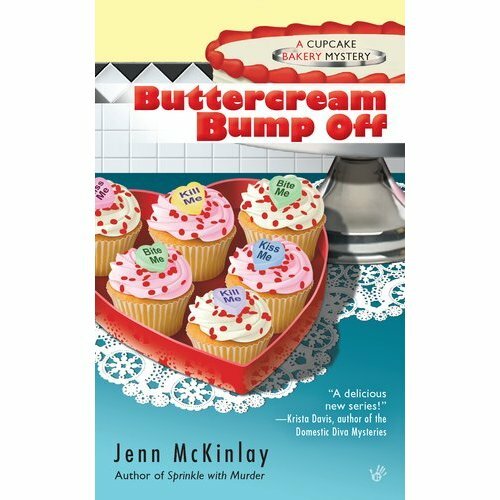 Written by Marty Zelaznik (a character in Jenn McKinlay's Buttercream Bump Off and a heck of a suave and debonair guy). Okay, so I added that last part. Yeah, it's me, Marty. So, I walked into the Fairy Tale Cupcakes bakery, looking to win a contest. The deal was for every four pack of cupcakes you buy you get to enter the drawing to win a ride in a fancy car and dinner for two at a five star restaurant. I didn't want anyone to steal my idea so I decided to eat my cupcakes right then and there. Sixteen cupcakes. Boom! My blood sugar went crazy, I tell ya. The upside was that I got to be pals with the owners Mel and Angie. Mel is a sweetheart, but I'm a little afraid of Angie. Don't tell her I said that, okay? Now because I was sitting there day in and day out pounding cupcakes, when things got a little dicey with Mel's mother's date turning up dead, the girls turned to me to help out. For extra raffle tickets, I'd do pretty much anything. I even hid in Dumpster with Mel from that crazy rival baker Olivia Puckett. Now that woman is a few cupcakes shy of a four pack. But the big question is why did I do all this? Because I am an old man on a fixed income who thought his ticker had all but stopped, when into my geezer yoga class walked the finest looking woman I've ever seen. Beatriz is so gorgeous she made my thumper go triple time. And just like that, I had a reason to live again. So maybe going into sugar shock for love is crazy, but it sure does make me feel alive. So, fess up. What is the craziest thing you've ever done for love? Gotta love ya Marty! So did you get to take Beatriz out? I hope Beatriz thinks you're wonderful, too! I think I do little crazy things for love every day, Marty! Marty, you shoulda just asked Beatriz if she wanted a cupcake!! Getting married at 18 is pretty crazy. Also one of my best decisions ever. It wasn't love, but mere infatuation ... still, craziest thing I did for a guy was go skinny-dipping in Lake Superior. At midnight. In November. Dumb, dumb, dumb. I love buttercream icing. 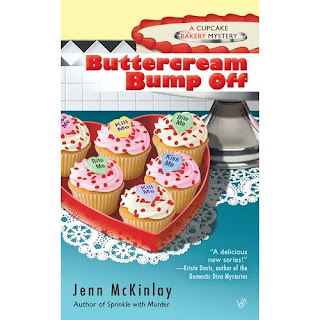 Those cupcakes on the cover look yummy! Enjoyed the blog today. I really didn't do any crazy thing for love, or at least I didn't think it was crazy at the time...when you are in love all is right with the world.